But when I click on the excel file drop down –> View in Browser then I also got the same error. 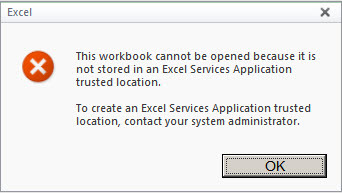 This workbook cannot be opened because it is not stored in an Excel Services Application trusted location. To create an Excel Services Application trusted location, contact your system administrator. According to the error message, obviously we need to add the document library path to Trusted File Locations in the Central Administration. So we will see the steps here. If you use SSL (Secure Sockets Layer)/HTTPS connections, just add https:// on the address. If you want to read more about this just click here. 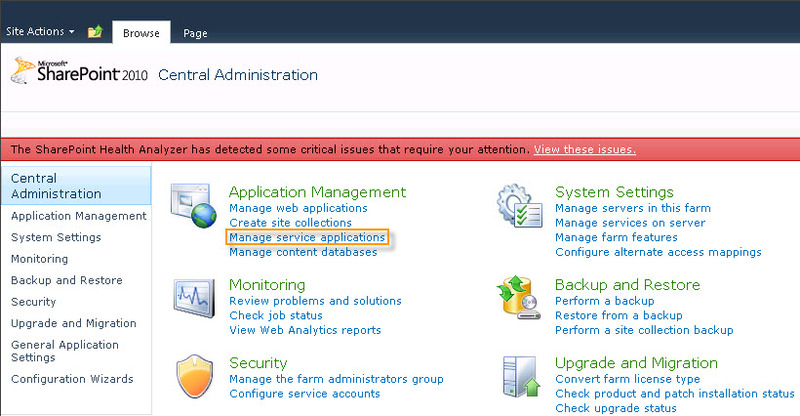 The similar problem in SharePoint 2007 also, you can find the solution in my previous post. This entry was posted on June 28, 2012, 7:31 pm and is filed under Excel Services, SharePoint 2010. You can follow any responses to this entry through RSS 2.0. You can leave a response, or trackback from your own site. The small little note after Step 5 helped me..!!! Thanks!!! Wow that was odd. I just wrote an extremely long comment but after I clicked submit my comment didn’t show up. Grrrr… well I’m not writing all that over again.